To purchase, please visit Griffin Bay Bookstore, Darvill’s Bookstore, Moonraker Books, your local indie bookstore, or Amazon. 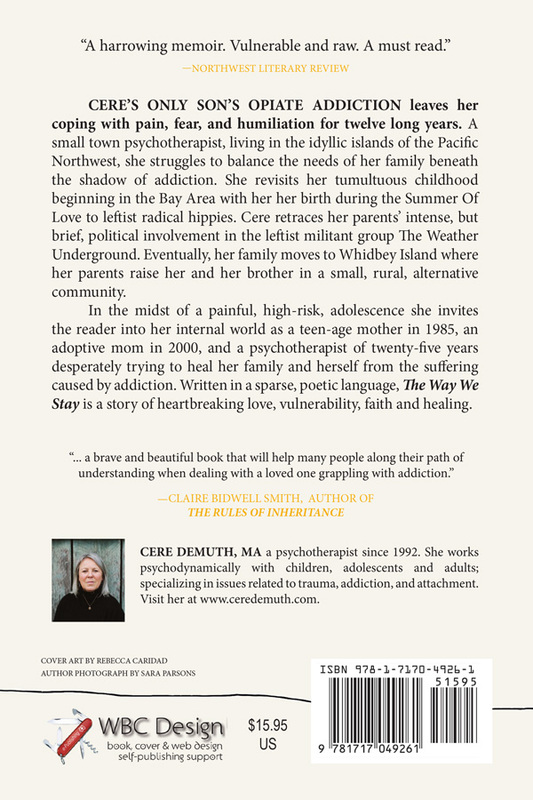 "The Way We Stay" chronicles Cere's life as a small town psychotherapist coping for twelve years with the pain, fear, and humiliation of her only son’s opiate addiction. Living in the idyllic San Juan Islands of the Pacific Northwest she struggles to balance the complexity of her own emotional needs, the needs of her clients, and the needs of her family beneath the shadow of addiction. She revisits her tumultuous childhood beginning in the Bay Area with her birth during the Summer of Love to leftist radical hippies.  Cere retraces her parents’ intense, but brief, political involvement in the leftist militant group The Weather Underground. Eventually, her family moves to Whidbey Island where her parents raise her and her brother in a small, rural, alternative community. 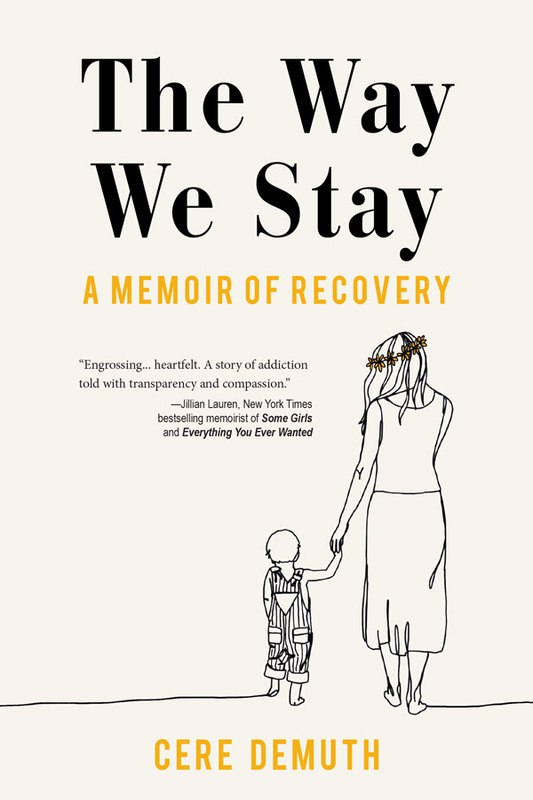 In the midst of a painful, high-risk, adolescence she invites the reader into her internal world as a teen-age mother in 1985, an adoptive mom in 2000, and a psychotherapist of twenty-five years desperately trying to heal her family and herself from the suffering caused by addiction. Written in a sparse, poetic language, it is a story of heartbreaking love, vulnerability, faith and healing. Cere has been a practicing psychotherapist since 1992. She is a mother, grandmother, occasional photo­grapher, and writer. She has spent most of her life on the beautiful islands of the Pacific Northwest. She works psycho­dynamically with children, adolescents and adults on San Juan and Orcas Island. She specializes in issues related to trauma, addiction, and attachment. For several years she wrote the column, "Parenting on the Rock," for the local newspaper. Recently, she finished a memoir entitled "The Way We Stay". where you stay I’ll stay. 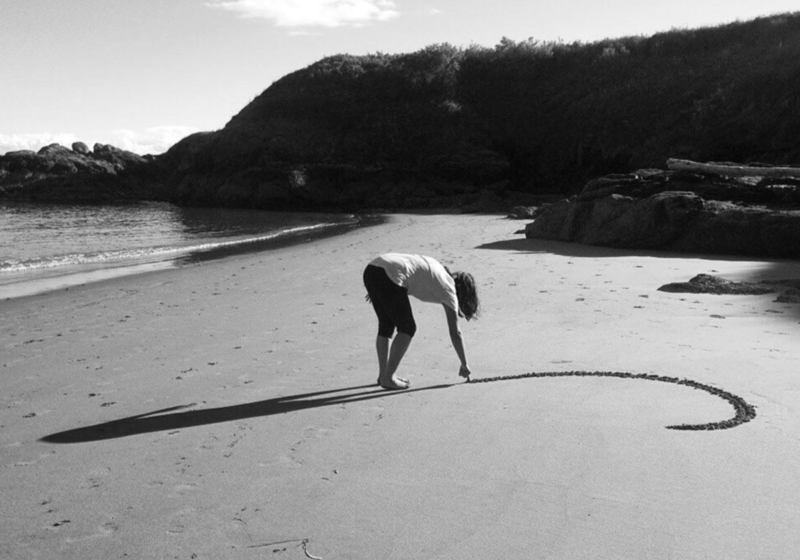 Cere is available by appointment for psychotherapy sessions at her offices on San Juan and Orcas Island. She is also available for professional consultation to clinicians and families struggling with issues related to addiction and attachment. Consultation can be provided in person or via phone. Her fee for a 50 minute hour is $150. you shelter from the storm.